“Wildlife have equal rights on this planet as us humans. Therefore, we have the responsibility to ensure them this right through proper policy decisions,” said Chief Minister Pema Khandu on Tuesday in the 1st meeting of the State Board for Wildlife here in presence of Parliamentary Secretary for Forests & Environment C T Mein, Advisor to CM Japu Deru and legislators Tage Taki, Paknga Bage and Laisam Simai. Khandu gave a patient hearing to the submissions made by the state Wildlife division and suggestions put in by Board Members who hail from various conservation and wildlife protection fields. In his remarks, Khandu assured that the Board shall meet regularly twice a year as prescribed and take timely policy decisions needed for preservation of wildlife in the state. He, however, regretted that the Board meeting couldn’t be held since its last sitting in 2014. Khandu requested the department to take note of the suggestions and observations put in by Board members hailing from NGOs actively involved in conservation and preservation of forests and wildlife at the grass root level. He also directed the department to submit its proposals that need to be placed in the state Cabinet for final approval and decisions. Various issues that were discussed during the two hour long meeting included enhancement of compensation for loss of lives, injury, damage of livestock, crops and property due to man-animal conflict, upgradation of Dibang Wildlife Sanctuary as Tiger Reserve, creation of Eco-Sensitive Zones around protected areas, etc. The Board, of which the Chief Minister is the Chairman, in principle approved enhancement of compensations from the existing amounts and upgradation of the Dibang Wildlife Sanctuary. 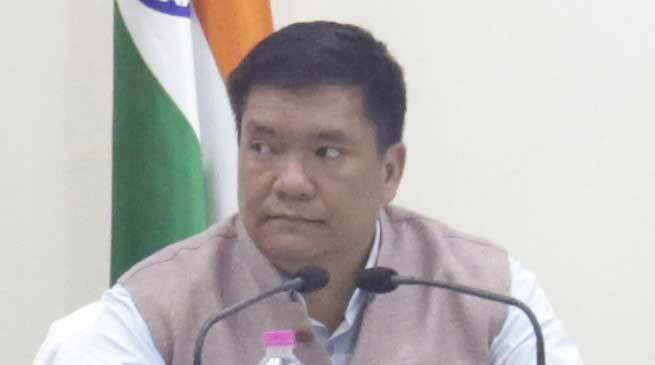 The sensitive issue of creating Eco-Sensitive Zones around protected areas would be taken up elaborate discussion in the Cabinet soon, Khandu informed. Community owned forests or Community Conserved Areas (CCA) that make up the major chunk of forest lands in the state was also discussed in detail. The Board accepted the need to frame a proper policy to encourage community forests through a mechanism in place by way of giving incentives to locals wherever possible.